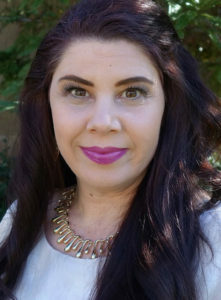 Amunet Burgueno is a confidence & biz coach who uses powerful tools such as hypnosis, cash injections, & special programs so you can create more cash and CRUSH it in your life and business. Have you ever known just what you should be doing but you’re not doing it? Have you ever felt stuck by your own emotions or self-sabotaging behavior? Does your inner critic remind you of all your past mistakes, or worse yet, reminds you of mistakes you might make in the future, so you just don’t do anything at all? These are all signs that you’re running on autopilot, and you have unhelpful subconscious beliefs that are keeping you stuck. The time is NOW to reclaim your power & feel confident! Feel worthy & confident, release your fears, & get off the income roller coaster. What are the biggest challenges that keep women from confidently making more money in their business? Why is there so much confusion in business? What is the biggest mindset shift women need to adopt in order to be successful in their life and business?